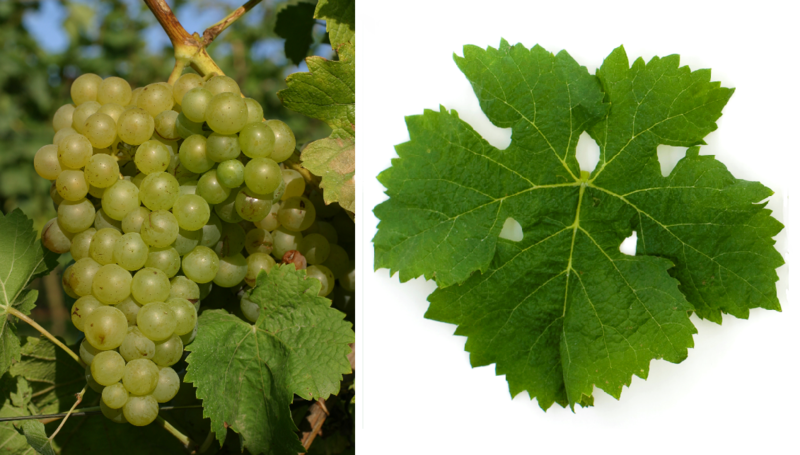 The white grape comes from France, Synonyms include Branco Especial, Especial Branco, Royal Magdalena grape, Maddaleina Royal, Maddalena Reale, Madeleine Impériale, Madlen Blond, Madlen Roial, Madlen Roiyal, Madlen Royal, Magdalena Kralovska, Magdalene Real, Magdalenka Kralovska and Plant du Caporal. It was founded in 1845 in Angers (Maine-et-Loire) at the Institute Moreau-Robert from a then unknown seedling bred. According to the year 2010 DNA analysis it is a presumably natural cross between Pinot x Frankenthal Noir ( Schiava Grossa ). The variety was crossing partner in the new breeds abondant. Frühgipfler. Madeleine Angevine. splendor grape and Sirio, at some Dalmasso- and Pirovano-table grapes, as well as the long searched for parent of the Müller-Thurgau, The early ripening vine has grapes with nutmeg and is sensitive to the real mildew, She is as table grape and Zierrebe suitable. In 2010, less than one hectare of vineyards in the French department Hérault expelled. This page was last modified at 18 December 2018 at 09:10.